Pilates Rolling like a Ball also known as Rolling Back is more than meets the eye! 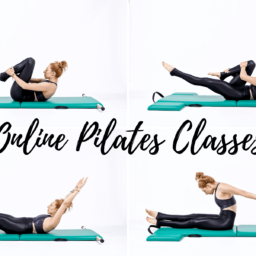 There is a lot of control and connection needed to accomplish this Pilates exercise! I was always told that Rolling like a Ball was a massage for the back. And, boy, was it not at all a massage for my spine. My hypermobile body would collapse into the shape and then momentum would allow me to look like I was doing it correctly. It took many years to really figure out that this exercise was more than meets the eye and not a massage for the spine but instead a teaching tool for a lot of Pilates exercises. Can you put yourself in the shape and keep the tensegrity of the muscles. Can you be a ball without being a lump of body parts? Press your thighs forward into your hands to connect to your abs. Sitting at the top of your mat and place one hand on each ankle. Pick both feet off the mat and squeeze the heels together and your knees apart. Look towards your heels or center without over flexing your neck and then roll back towards your shoulder blades and then roll back up and balance. By pressing your shins into your hands and your hands into your shins you will really find the connection to your upper back. Find yourself reaching your thigh bones forward and pulling your stomach back like you do when you do Stomach Massage on the Reformer. These pushes and pulls help you really create a dynamic ball that rolls back and forth without collapsing or slogging along. Rolling like a ball really helps teach all the rolling exercises so this is not one to skip or cheat on! Take your time and find all the parts involved.